Retro inspired fashion is a huge trend this season, and this midi dress captures it perfectly! 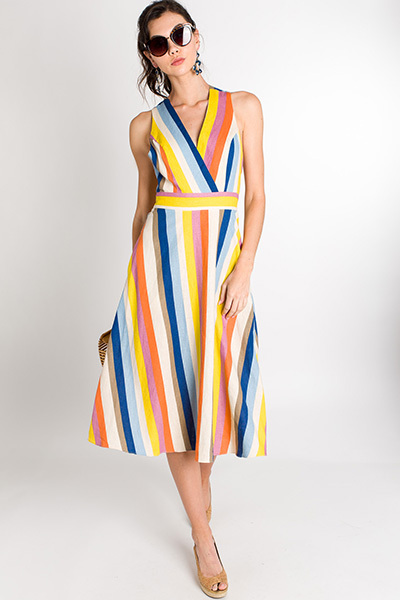 Colored stripes + an A line fit and midi length. The racer back tied bow detail might just be our favorite feature. Linen rayon-blend. Back zip. Fit is true to size. (Top will accomodate a larger bust) Model is wearing size small. Shoulder to hem measures approximately: S- 46" M- 46.5" L- 47"